Greg Roberts runs the show over at Volti Audio. If you have been living under a rock and have no idea who Volti Audio is, you should go check out his site right now. I met Greg last year at Rocky Mountain when I was blown away with the sound pouring out of his Vittora and Alura speakers. 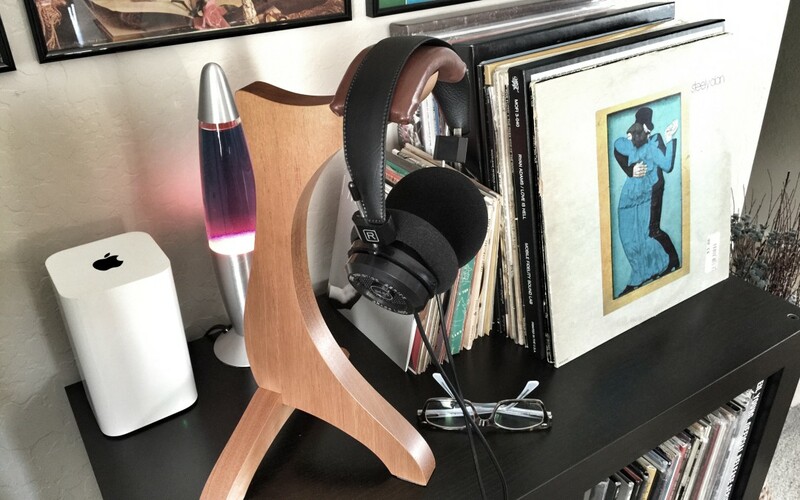 I am happy to report that Incredible sounding speakers aren’t the only thing Greg is making these days and I just had a sneak peek at his latest creation, headphone stands!